In my opinion, one of the more novel things you can do with an Arduino is put it to use as a custom game controller for your favorite games. 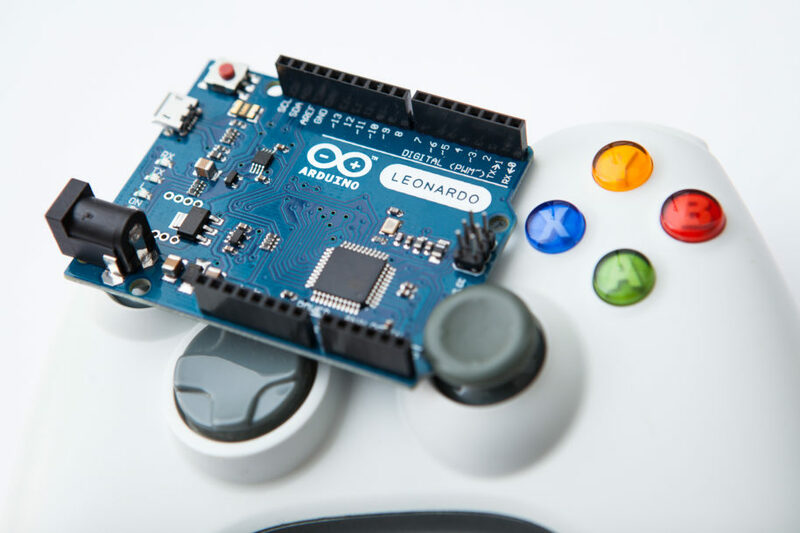 Whether you’re retrofitting a Nerf gun, converting a rhythm controller to play an FPS game, or playing PUBG with a frying pan – using an Arduino makes it quick easy to build your own custom controller. In this tutorial, I’m going to show you how to program your own Arduino to emulate an Xbox controller using the ArduinoXInput library. Using a Leonardo or 5V Pro Micro is my usual suggestion, although if you need a little more ‘oomph’ you can pick up a Teensy LC or Teensy 3.2. This is not a complete list however! Check the supported boards list in the library repository to see if your board is compatible. The next thing you’ll need is the software to make this work. There are two separate but related pieces: the boards package that contains the USB descriptors for the XInput controller, and the library that makes it easy to interact with. First, you’ll need a copy of the XInput boards package for your specific microcontroller. Because of the way this XInput emulation works it’s not possible to include the USB descriptors with the library – it requires modifying the Arduino core files which means installing some purpose-built boards files. You need to download the one(s) required for your microcontroller and install them by copying the relevant files to your Arduino installation’s ‘hardware’ folder. Make sure you have the latest version of the Arduino IDE to avoid any issues. After you have installed the new boards packages, restart your IDE and you should see the new boards available in the ‘Tools’ menu. The AVR boards will have “w / XInput” in their name. Next, you’ll need a copy of the ArduinoXInput library. 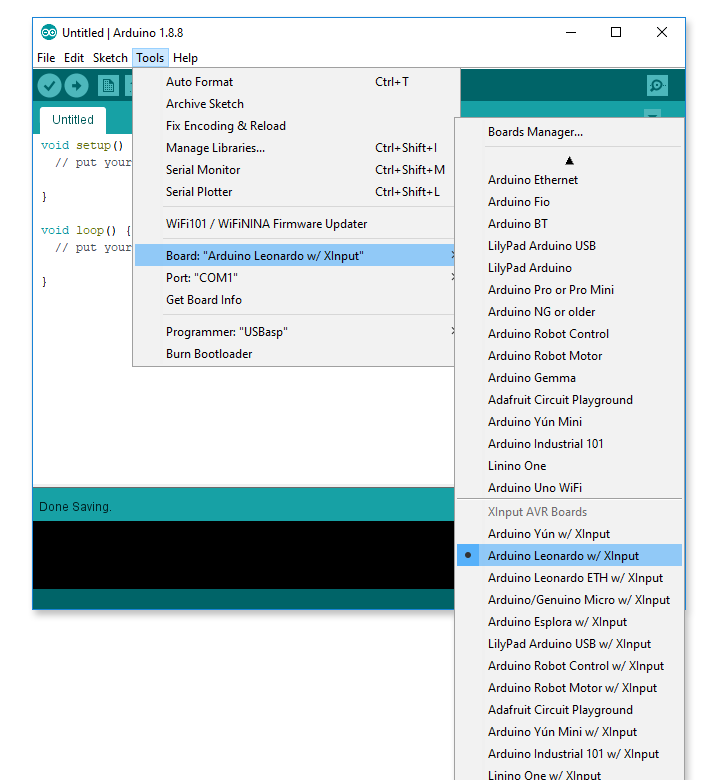 You can install this like any other Arduino library – download the latest release as a .zip file and use the IDE’s library manager to install it ( Sketch -> Include Library -> Add .ZIP Library ). 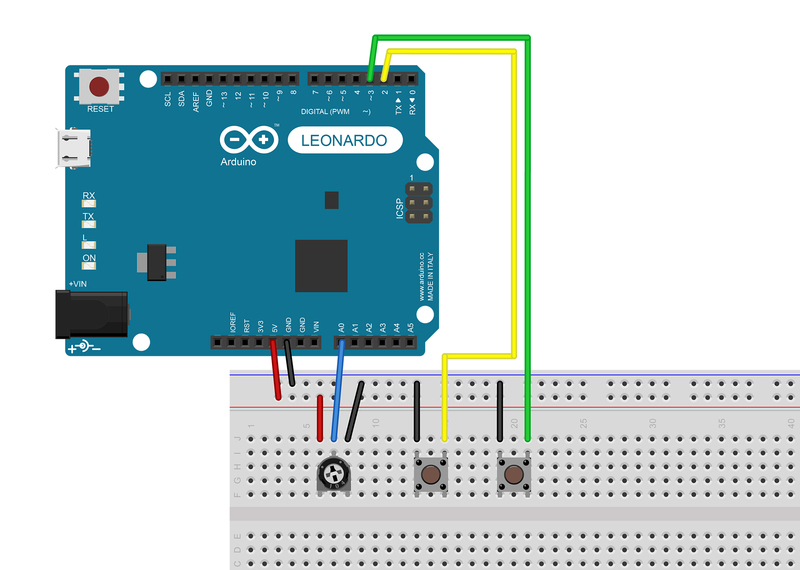 To do this you need to know where the ‘reset’ button is on your Arduino. If your board does not have a ‘reset’ button, you can wire your own by momentarily connecting the ‘reset’ pin to ground. To upload a new sketch, connect the board to your computer using a USB cable, and make sure you have the proper board selected in the IDE’s ‘boards’ menu (with or without XInput). If the board already has an XInput sketch on it, you do not need to select a serial port. You should also turn on ‘verbose output’ for uploading in the Arduino IDE’s preferences (File -> Preferences). This makes it easier to time the manual reset and see if the upload succeeded. If you did these steps properly, the board should reset to the bootloader and the upload should begin. AVRDUDE will do its thing and you should see avrdude done. Thank you. near the bottom of the output window. Note that the IDE may say that it “Couldn’t find a Board on the selected port” even if the upload succeeded. This is why it’s important to turn on the verbose uploading output – look for the avrdude message. The example will press and then release the controller’s “A” button every two seconds. It’s a good way to test that the XInput emulation is working properly. Double check that you have the correct board selected in the “Tools” menu and that you’re using the “w/ XInput” version. Upload the sketch to the board, making sure you follow the uploading instructions above. On Windows you can test the output by using either the joystick control panel (Run: joy.cpl) or, preferably, a nicer interface like GamepadViewer.com (here’s the link for player 1). You should see the “A” button (#1) steadily blinking on and off. Success! In addition to these, you can also read the state of the virtual rumble motors (big and small), and even get the pattern that is running on the LED ring. Let’s jump in! Pass these values into the button functions above to ‘press’ or ‘release’ the respective buttons. For use with fighting games, this function also includes a simultaneous opposite cardinal directions (SOCD) cleaner to avoid erroneous states (up and down is up, left and right is neutral). There are two joysticks: JOY_LEFT and JOY_RIGHT. Both of these have two axes (XY) and use 16-bit signed values (-32768 is min, 32767 is max, and 0 is centered). The north-east corner of the joystick is positive for both axes. You can also use button functions (press(), release(), etc.) to manipulate the analog triggers as if they were digital buttons. This will ignore the range and just set them to their min / max values. The library provides built-in range rescaling options for both the joysticks and the triggers! This means you can set an input range for the functions and pass the raw values to the library without having to rescale them beforehand. For example, you could set an input range of 0 – 1023 to use a value from analogRead(), or set a range of 48 – 57 to use an ASCII number value from ‘0’ through ‘9’. This rescaling is entirely optional. If you don’t set a custom range, the functions will use their output ranges by default (16-bit signed for the joysticks, 8-bit unsigned for the triggers). Values outside of the output range will be clipped to the min/max values, so you don’t have to worry about overflow. The library also gives you access to the XInput data the Arduino receives. Namely, the state of the gamepad’s two rumble motors and the pattern playing on the LED ring. 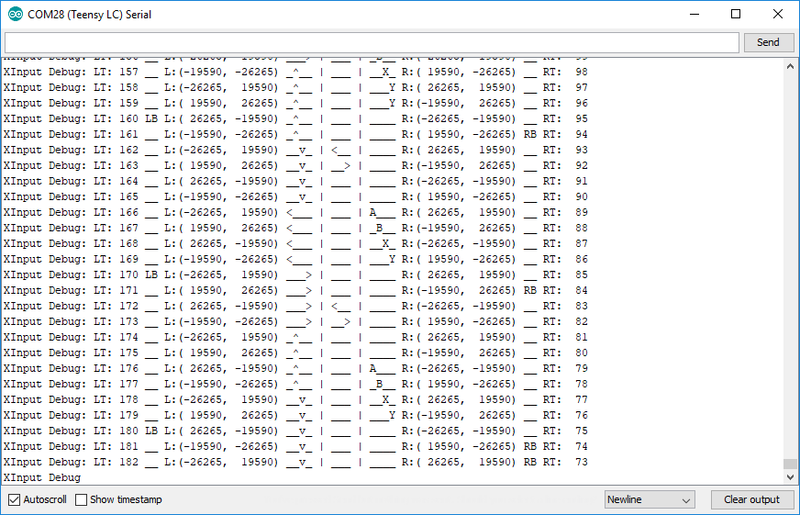 You can find an enumeration of the available LED patterns in the library’s header file. This library does not handle the LED animations themselves. For that you can use the Xbox 360 Controller LEDs library. If you want to deal with these values as they come in, check out the ReceiveCallback example. Now that you know the basics of using the library, let’s build a simple example to put it into practice! In this case, a barebones controller for Rocket League. I’m going to be using some basic components that you should have on hand. You’ll need a breadboard, two tactile push-buttons switches, a 10K potentiometer or joystick, and an XInput-capable Arduino (I’m using an Arduino Leonardo). You’ll also need a few wires to connect everything together. Note that the digital read functions have a not operator (‘!’) to invert the output because we’re using the pull-up resistors, so ‘LOW’ is ‘pressed’. You can also see that I’m treating the trigger like a digital output by using the setButton function instead of the typical setTrigger function that takes an analog value. The potentiometer value is written to the joystick ‘x’ axis, and the ‘y’ axis is centered based on the constant we set at the top of the code. Time to take this baby for a spin! Upload the sketch, boot up the game, and head into Free Play (Training) to try it out! If you have the extra hardware, try replacing the potentiometer with a two-axis thumbstick or add a few extra buttons for the missing controls. That should give you a good overview of how to use the ArduinoXInput library to emulate an Xbox controller. For further reading, check out some of the library’s built-in examples. You can find them either through the IDE by going to File -> Examples -> XInput, or in the library’s repository on GitHub. This library opens up so many possibilities. Let me know what you create! Thank you so much for this! I just spent about six hours researching HID/PID report descriptors in order to get force feedback to work. Then I thought Xinput might work and wow does it seem so much easier with your code. I’ll let you know how it works out for me.